Competition was fierce for computing bargains in Harvey Norman today perhaps he’s been listening in to Roots Tech 2012. 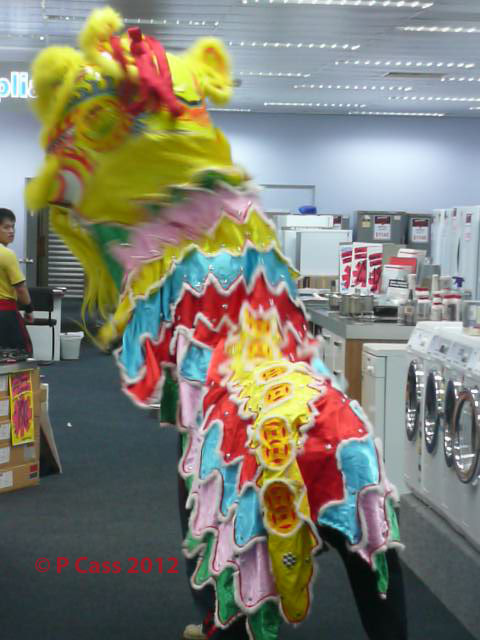 Then the Dragon made his way to the appliance section accompanied by loud drumming from his friends. Having intimidated the competition by staring them in the eye. He became submissive waiting for his reward of lettuce. 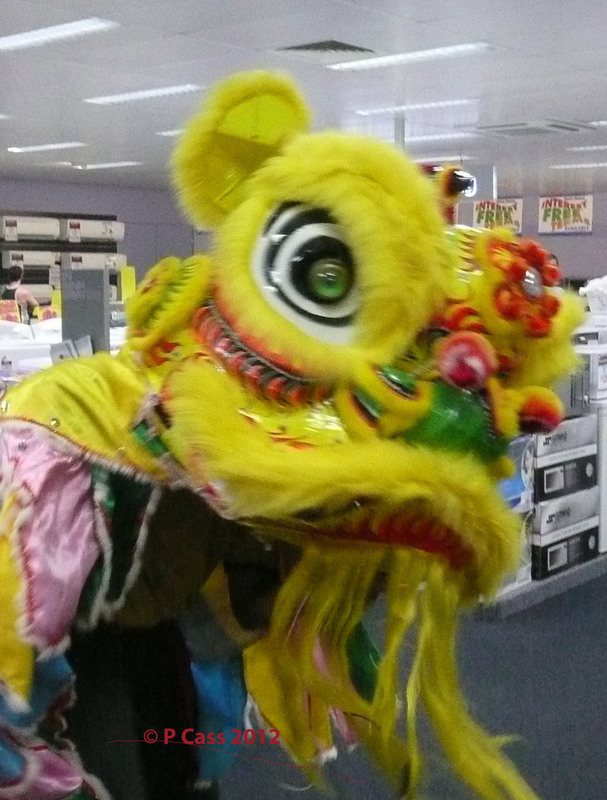 No doubt his presence will be auspicious for Harvey Norman’s business throughout 2012. I’m glad we saw him today because he’s eluded us at every turn this year. 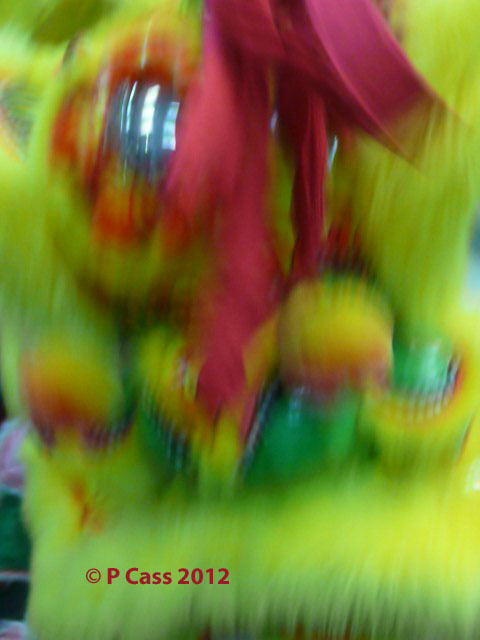 The Dragon and Lion dancing troupe from the Chung Wah Society play an important role in Darwin’s events and of course Chinese New Year is a highlight. I suspect I’m wrong calling this handsome fella a Dragon and that’s he’s actually a Lion but old habits die hard. I’m taking a bit of artistic licence to celebrate the Eve of the Year of the Dragon. 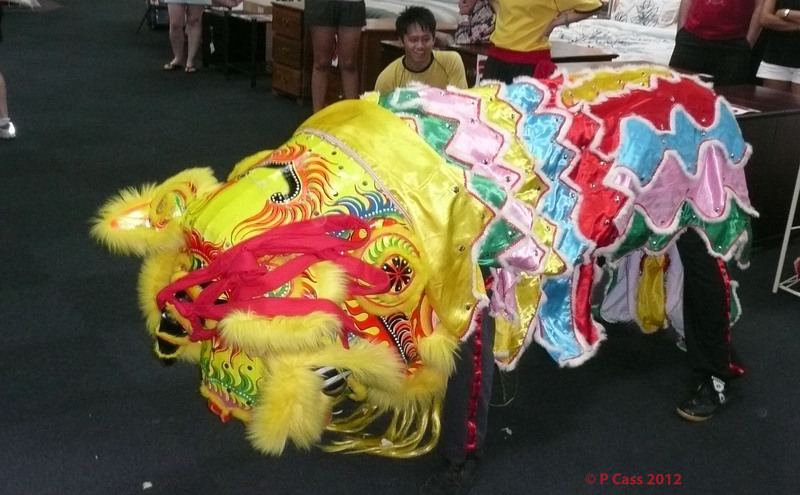 The Chinese have been an important part of Darwin’s multi-cultural environment for a very long time and their celebrations are part of the city’s rituals. The Chung Wah Society is an active community organisation. 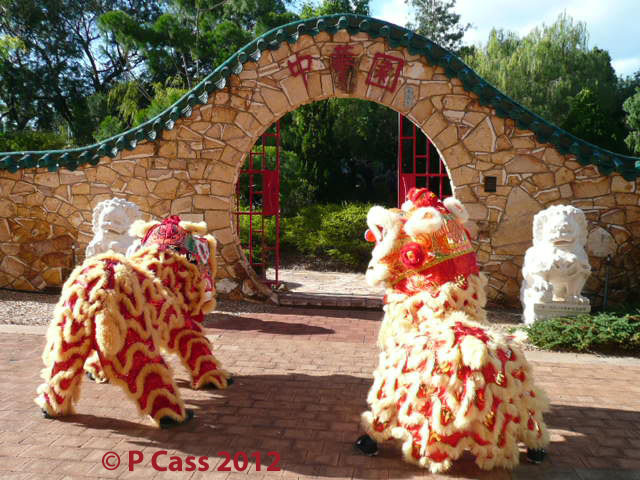 These lions were an intrisic part of a Chinese wedding in the Chinese Gardens at Charles Darwin Uni a while ago. As with most weddings in Darwin it was during the Dry Season (which it isn’t right now) and I was lucky that our offices overlooked the Gardens and all the noise made it apparent something exciting was happening. Great way to end a working week.